I am not a vegan. I do not like coconut things, especially coconut 'flavor' or the sweetened, shredded stuff that's so prevalent. Even canned coconut milk often pushes my limits. But a can of coconut cream? Um, yeah. Go buy yourself some of that. In fact, go ahead and stock up since it's cheap. I get mine at a local Asian grocery store. Look for some fresh berries while you're out and grab some of those, too. 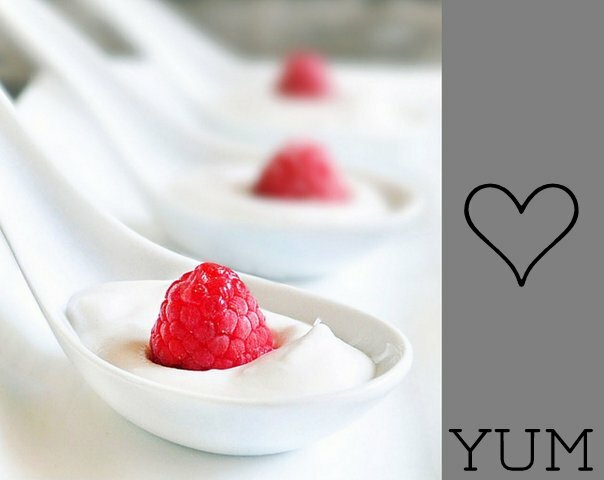 Then make this vegan whipped cream recipe (coconut cream + sweetener of choice*) and enjoy them together. I promise you'll thank me. What about you? Have you tried this -or would you try this? I can't believe how much I love this recipe...it's uncanny. Hahaha, unCANny, I get it. So what is the difference between coconut oil and coconut cream? And when you said vanilla sugar I was all like, ohhhhhhh that sounds good! I should have brought a few packets back with me. Thanks so much for posting this! I follow her blog but didn't see it and I neeeded a recipe!